The Huffington Post video in their impact session presented this photo that has stirred a nation regarding a soldier who died in war and his dog by his casket. The commentary is interesting. Yet, what struck me was how the hawkeye, the dog, knew that his deceased friend was in the casket and what was going on in his mind as he lay down next to the casket while the entire funeral service was taking place. It is promising that the nation was touched by that scene. 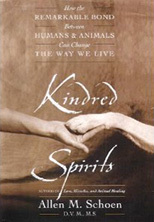 It continues to support the kindred spirit projects theory, that the human animal bond touches the absolute deepest parts of our heart and emotions. These connections go deeper than we can currently understand or appreciate. Dr. Penny Lloyd shared some her most profound insights regarding the loss of her equine companion of 29 years. 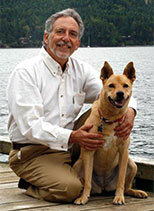 Clients throughout my decades of veterinary practice would occasionally share how they grieved more for the loss of their animal friends than they did for different family members, commenting that they felt more unconditional love and no “baggage” from their kindred spirits. From the animals perspective, I would often see animals grieving from the loss of a family member or other animals that they shared their lives with. One 12 year old schnauzer stopped eating almost completely for a couple of months and had dramatic weight loss after the death of the elderly husband in the family. The wife took her anorexic schnauzer to numerous veterinarians, specialists etc. to see if there was something physically wrong. Despite numerous blood tests, radiographs, mri’s etc., no one could find anything wrong. She brought her dog to me as a last option, hearing that I practiced a more holistic approach which also included grief counseling. Upon reviewing all the thorough veterinary medical records and conducting my own physical examination, I agreed that there was no evidence of any physical illness at this time. I prescribed a homeopathic remedy for grief and within 24 hours the dog began eating again and continued to recover. 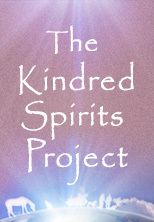 The client was so amazed that she realized that she was still grieving as well and asked if she could take the remedy. I explained to her that I am a veterinarian and did not prescribe to people. However, the choice of remedy was based on what was used for humans. She decided to take the remedy based on her own choice. She commented afterwards that she had this “funny” feeling of the release of the depth of the grief. She still missed her husband tremendously, but felt that the deep pain had somehow disappeared. I imagine that that his how her dog may have felt as well. There are numerous examples demonstrating how animals grieve for others. Truly these moments transcend death and species. The insights that I have gleamed from the story of the labrador retriever, hawkeye grieving for his deceased companion are: 1. animals grieve similarly to humans and 2. animals sense the death of others and perhaps even sense their continued presence even after death. In addition, I believe that the deep connections that we feel when we see animals behave similar to human behaviors has its roots somewhere deep in our psyche. The Harvard entomologist, Dr. E. O. Wilson termed this belief “biophilia”, an innate connection to be in nature and with all animals. What are your thoughts regarding this photo and the nations response? Learn more about Dr. Schoen's latest book here. ©2019 Allen M. Schoen, D.V.M., M.S. - All Rights Reserved.